BONDLINE Static Control Solutions has released Ion Industrial's Virtual AC intelligent static neutralisers. They remove static charges from PET bottles during production without blowing air. 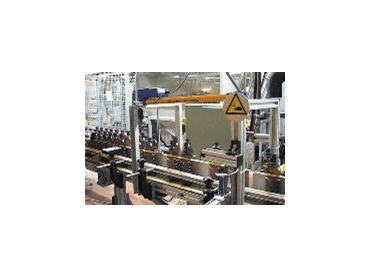 Static charges generated during PET bottle production and handling can interrupt product flow and interfere with product labelling. A single Virtual AC neutralising bar effectively neutralises static charges on newly moulded, fast-moving PET bottles. No blowing air is necessary and no setup change is required on small or the large bottles. The system's modular design simplifies equipment installation, maintenance, upgrading and replacement. The control module displays real time information about the neutraliser efficiency and system diagnostics, eliminating any guesswork about the system's operation.